Filmmaker Jorge Prelorán was born May 28, 1933 in Buenos Aires, Argentina. His father, an engineer, was Argentine and had studied in the United States where he met his wife, an American. Prelorán grew up speaking both Spanish and English and had dual citizenship. Initially pursuing a career in architecture, he studied both in Argentina and the United States and worked for a time as a draftsman. He made his first film, Venganza , with neighborhood friends in 1954. The film won the Beginner’s Festival of Cine Club Argentina that same year. In 1956 Prelorán was drafted into the US Army and served in West Germany until 1958. Upon his return he changed educational plans and began formal study of filmmaking, receiving a Bachelor of Arts in Motion Pictures from UCLA in 1960. 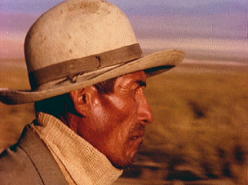 Prelorán’s professional career as a filmmaker began in 1962 with a commission from the Tinker Foundation of New York for a series of films on the Argentine gaucho. 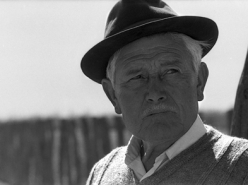 From 1963-1969, Prelorán was under contract at the Universidad Nacional de Tucumán to produce educational films; he also produced a series of short films on Argentine folklife with a grant from Fondo Nacional de las Artes. 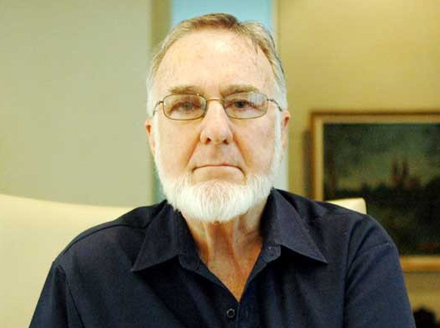 In the late 1960’s, Prelorán became involved with UCLA’s Ethnographic Film Program and in 1970 he returned to UCLA as a lecturer for two semesters. Later that year he was a fellow at Harvard’s Film Study Center, where he produced the English-language version of Imaginero (Spanish title, Hermogenes Cayo ). 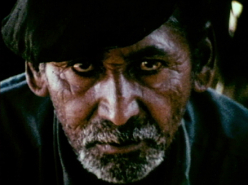 Prelorán was the recipient of two Guggenheim Fellowships, in 1971 and 1975, and used those opportunities to produce quite a number of films, including Arucanians of Ruca Choroy . In 1976, Prelorán and his wife, Mabel (Freddi), moved permanently to the United States. Prelorán accepted a position as associate professor at UCLA’s School of Theater, Film and Television (he later joined the faculty as a tenured professor). During his time at UCLA, Prelorán was twice selected as a Fulbright Scholar, in 1987 and 1994. He continued to produce films, including the Academy Award-nominated documentary short Luther Metke at 94 (1980) and the 7-hour natural history television series Patagonia (1992). After retiring in 1994, Prelorán continued to mentor film students as Professor Emeritus; he also began work in a new medium, creating a series of books, Sages Amongst Us (unpublished), featuring a variety of friends and colleagues. Prelorán is best known for his intimate approach to ethnographic film, a style he termed “ethnobiography”. In films such as Hermogenes Cayo ( Imaginero ) (1970), Cochengo Miranda (1974), and Zerda’s Children (1978), Prelorán’s protagonists tell their personal stories in their own words, while also revealing the story of their communities and cultures. 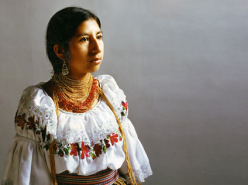 His 1989 film Zulay, Facing the 21st Century was ground-breaking for its nuanced discussion of immigration and culture change and for its self-reflexive nature (the film was co-directed by Prelorán’s wife, Mabel Prelorán, and the subject, Zulay Saravino). However Prelorán’s creative expression was not limited to non-fiction; his filmography includes several short experimental films and one feature-length fiction film, My Aunt Nora (1982) (screenplay by Mabel Prelorán). Prelorán produced and directed more than fifty films and has credits on many other fiction and non-fiction films. 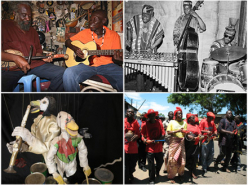 He collaborated with a wide variety of anthropologists, writers, musicians, filmmakers and others, both in Argentina and the United States. On March 28, 2009 Prelorán passed away at his home in Culver City, CA at the age of 75. “Jorge Prelorán 1933 – 2009.” Obituary. UCLA, School of Theater, Film and Television. 31 Mar 2009. Web. 1 Apr 2009. Jorge Prelorán Collection. Human Studies Film Archives, Smithsonian Institution. Woo, Elaine. “Jorge Prelorán dies at 75; Argentine filmmaker and former UCLA professor.” Los Angeles Times . 5 Apr 2009. Web. 29 Apr 2009.